A collection of stories associated with various clan chiefs from the Scottish Highlands. There are forty stories including tales of stolen brides, drowned wives, severed heads, Jacobite fugitives, pirates, fairies, feuds, torture, bloodshed and battle - and much more! The tales are based on historical events from the earliest years of the clans, right up to relatively modern times. Each tale is associated with an individual clan and includes a famous chief or two. 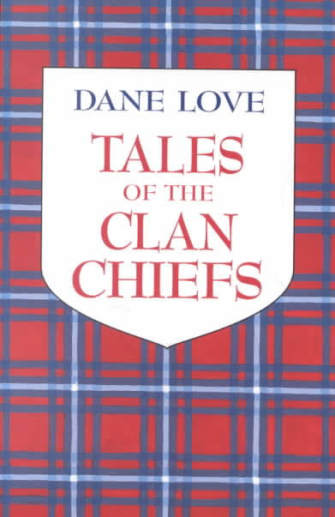 Tales of the Clan Chiefs is now OUT OF PRINT but you may be able to pick up a copy through Amazon.